Everything is better when you don’t have to leave the house. Work, food, parties, language learning. So what can you do to minimize your no-pajama-wearing time and still learn Japanese? You might already be learning with courses, classes and various other resources. But believe it or not, there are ways you can boost your language learning from bed, over breakfast or during your spare time. That’s right: You can learn Japanese from the comfort of your own home! 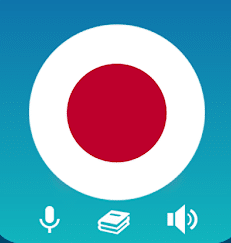 Japanese language apps are the newest way to learn Japanese on your own time for absolutely free. We know what you’re probably thinking: How could a free app give me a substantial learning experience? In fact, using Japanese language apps is a fantastic way to learn the language whether you’re a beginner or an advanced learner. Why Should You Learn Japanese with Free Apps? They’re free. Free language resources may seem like they’re hard to come by but there are many app options out there. We cover ten of the best free apps for learning Japanese in this post and there are hundreds of other options available to try at no cost to you. Many of these apps have a focus on minimal daily learning and provide notifications when it’s time to practice. We rely on our smartphones quite a bit in this day and age. There’s rarely a moment when our phones aren’t in our hands. Many Japanese learning apps use daily notifications and reminders to practice, which you can set to specific times to fit your schedule. Daily reminders build habits and encourage you to study every day, even if it’s only for a short while. They’re great by themselves or as a supplement to a language class or other means of learning Japanese. 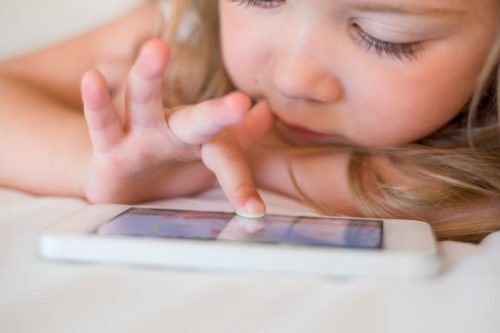 Japanese language apps can help reinforce other learning methods you might be using. Check your language app daily. Set notifications for lessons if the app contains such a feature, or add a reminder in your own daily calendar. Be consistent and be sure to schedule app time for when you aren’t busy and can find a quiet space to focus. Try using more than one app. Not every app on this list is ideal for every learner. Do some “app shopping” and test each option to find out which one works best for you. Since each app has different features, consider using two at once to reinforce your learning. Supplement with an outside class. These apps work wonderfully on their own, but the added aid of a class, online course or other Japanese language learning method will only improve your chances of achieving fluency. Ready to start learning Japanese with free apps? Let’s get downloading! Okay, this isn’t a totally free option, but it does offer a free trial which you can take advantage of for 15 days of free lessons. 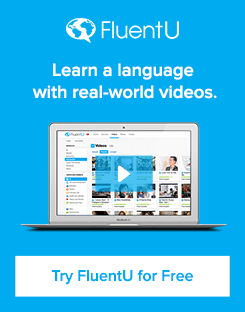 It’s worth taking for a spin, if not investing in, since the FluentU video app is the best in its class when it comes to video-based language learning. The days of the boring, slow-paced language video are long gone. 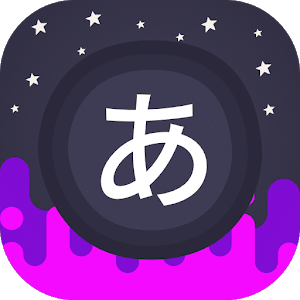 With the FluentU app, you get to watch authentic and entertaining videos in Japanese with translations that follow along with every word spoken. FluentU takes real-world videos—like music videos, movie trailers, news and inspiring talks—and turns them into personalized language learning lessons. All the content here is based on YouTube videos produced by actual native speakers. Worried about how you’ll be able to understand native Japanese speakers? This app makes comprehension much easier. Hover over any word to learn its definition in real time, and use the many flashcards and vocabulary lists to really reinforce your learning. The FluentU app is available for iOS and Android devices. Is it really possible to learn Japanese in just five minutes a day? Duolingo sure thinks so, and it looks like they deliver. Many people give up on learning a new language because they just can’t find the time to study. 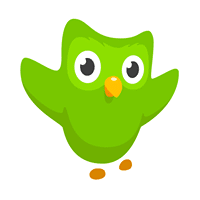 Duolingo focuses on light, quick lessons that you can take during your work break, on your commute home or whenever you can find just a few free minutes. Duolingo is available for both Apple and Android devices, and it’s one of the few apps on our list that doesn’t charge for special features (the only charge is if you want to go commercial-free). 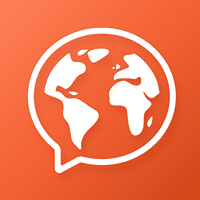 The app’s creators are dedicated to free language learning for any level. This app aims to improve your Japanese level in just 21 days. It uses cute, interactive animations and features lesson plans designed by experienced Japanese teachers. Each lesson is split into bite-sized chunks which teach vocabulary, writing and sentence structure through repetition and various types of questions. Words and entire sentences are paired with clear audio which can be slowed down for better understanding. 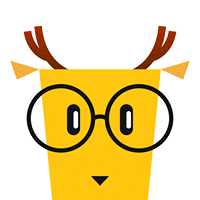 LingoDeer is available for Android and iOS devices and can be useful for all Japanese levels, though beginners will benefit the most from this app. Turning something educational into a video game can make one more inclined to learn. At least, that’s the idea Mondly has based their language app around. The more lessons you complete, the further you make it on the app’s map. The lessons mix kanji and spoken Japanese together so you can get a full education in a condensed package. Think Rosetta Stone but with a more goal-oriented spin. Mondly is available for Android and Apple as well as on a computer’s browser. The free version has plenty of content to keep you busy learning but you can also purchase a premium subscription, which includes benefits like exclusive lessons, modules and conversations. Instead of forcing you to adhere to a pre-designed lesson plan, this app allows you to pick and choose what you want to learn every time you use it. Greetings, travel, love, friendship, food: You get to decide the topic you want to cover. And with over 65 topics to choose from, containing a huge total of 5000+ phrases and words to learn, you’ll always find something to interest you. Beginner and intermediate learners will appreciate the vocabulary lookup options. This app is only available on Android. If you’re a visual learner, Infinite Japanese will be right up your alley. This app focuses on learning Japanese the “natural” way with absolutely no English. Instead, graphics help you associate Japanese words with their meanings. There are six difficulty modes, so every kind of learner can benefit from this app. Infinite Japanese is available on Android and iOS devices. The free portion of the app contains plenty of material but to get access to the many locked lessons you’ll need to pay for premium features through in-app purchases. Like Infinite Japanese, Memrise takes a more visual approach to learning the language. Full of fun animations and set up very much like a video game, Memrise makes learning Japanese fun. 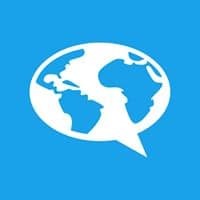 Memrise is primarily a vocabulary-learning app, with many different lists available to study from. The app uses repetition to perfect your memory of a word or phrase, which is then reinforced with frequent reminders of already-learned words. User-submitted visual and text mnemonic devices make it easier to remember certain words, and you can customize just how much you want to learn per day. 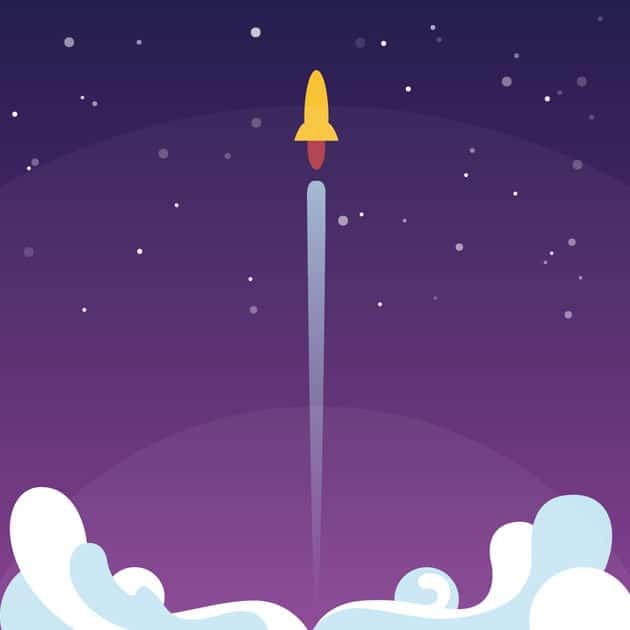 Memrise has a Beginner mode and Advanced mode, and is available for Apple and Android users. The Pro version boasts perks like speed review, video stats and more. If you’re an intermediate or advanced learner who wants to focus on writing and reading kanji and katakana, Write it! Japanese might just be what you’re looking for. The smooth interface of this app is super user-friendly and focuses on stroke order, vocabulary and grammar. You can even build your own customizable tests. Sorry, iPhone users. This app is only available for Android devices. 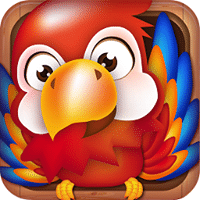 This app from Bravolol is available for iOS and Android devices and is geared towards all levels of language learners. Like WingsApp’s Japanese language app, you can pick and choose what you want to learn at any given time. What really sets this app apart from the rest is their “snail” mode. If you’re having trouble keeping up with Japanese pronunciation, clicking the little snail next to each lesson slows the audio down. The free version runs on ads, which can sometimes get intrusive. The premium version is ad-free. 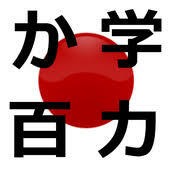 This app focuses on writing and reading Japanese characters. It’s also a fantastic Japanese dictionary to have on hand when you need to know what a romaji, kanji or hiragana word means. You can also build your own tests and flashcards to aid in your studies. Obenkyo is available for Android and Microsoft devices. 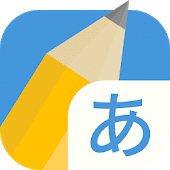 Since this app focuses mostly on stroke order and written Japanese, it would be ideal for intermediate or advanced learners. Who knew there were so many awesome language apps to choose from? Learning Japanese has never been easier than it is today, with free apps! We suggest downloading all of them to test which ones work the best for your personal learning needs. Good luck on your language journey and don’t forget to 勉強頑張ってね！ (べんきょう がんばってね！)—study your hardest! Emily Casalena is a published author, freelance writer and music columnist. She writes about a lot of stuff, from music to films to language.